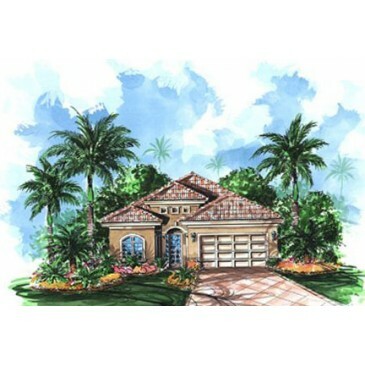 This Mediterranean bungalow house plan offers over 2200 sq. ft. of living space. 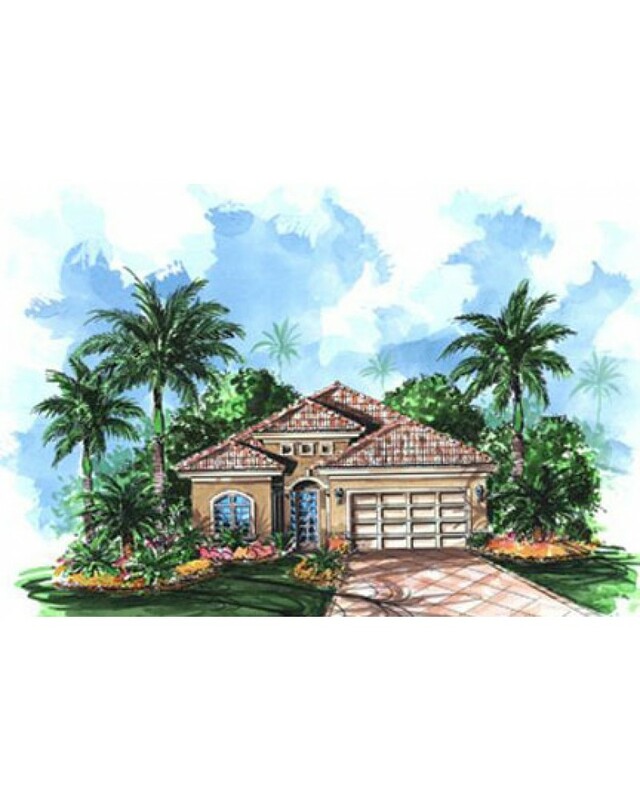 With three bedrooms AND a study this house plan also has three full baths and a great opportunity to view your backyard be it waterfront golf course or mountain views. 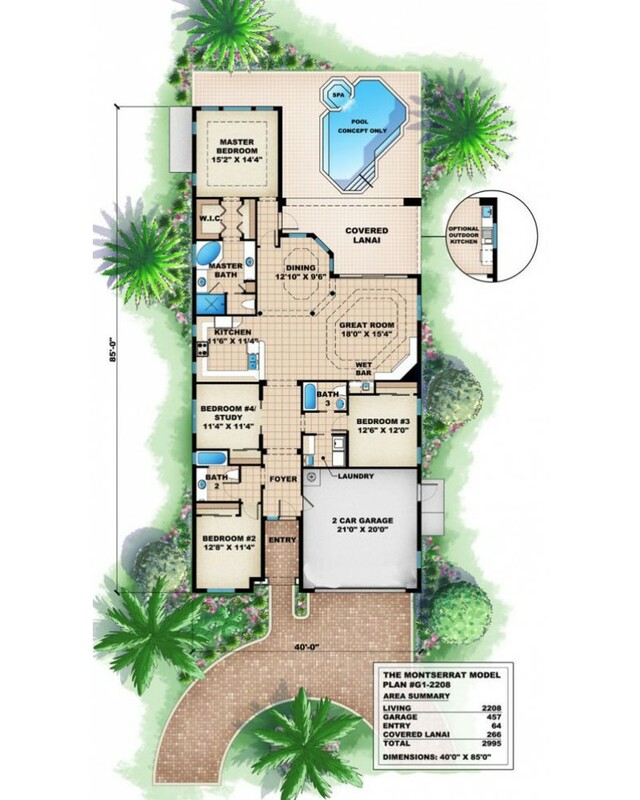 Spacious yet compact-a great use of space. 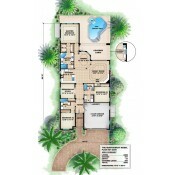 An excellent value for a house plan of this caliber!